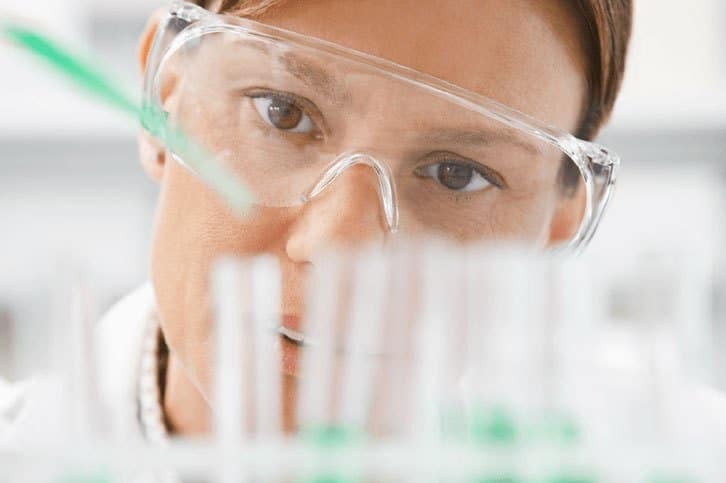 Home » Pharma Blog » What is a Laboratory Technician? A Laboratory Technician assists industry scientists with research, testing and conducting experiments. This can involve a number of different technical tasks which can vary greatly between roles. 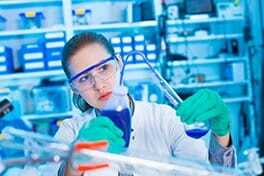 Their work is almost always laboratory-based and while they might be working alone on a specific task, they are generally working within a larger laboratory team. Within the pharmaceutical industry, Laboratory Technicians can be employed in research and development or in production and manufacturing. All roles are likely to be primarily based in a laboratory. Laboratory Technicians are expected to have a good awareness of general laboratory practices (GLP) and techniques but full training is usually given on the specific tasks required for each role. What does a Laboratory Technician do? The specific tasks of a Laboratory Technician can vary greatly depending on the laboratory they’re based in and the types of scientific work that is carried out there. Generally though, a Laboratory Technician will conduct the routine tasks required within laboratory, in support of the Laboratory Scientists. All work must be carried out in strict accordance with both internal protocols and external regulations. The level of education needed for Laboratory Technicians can also vary greatly depending on the role. Some employers may accept an Associate level degree, others may prefer a Bachelor’s level degree, typically in a science subject. Companies will often provide training for the specific duties they require of employees to ensure they are carried out in full compliance with internal and external regulations. If you already work as a laboratory technician and would like to retrain to perform the same or similar role with the pharmaceutical industry, check out our 10-week Fundamentals of Pharmaceutical Manufacturing course. Check out our Salary Guide for Laboratory Technicians for information local to you. As with all resumes, it’s extremely important that you tailor your Laboratory Technician resume to reflect the language used within the job advert. Where you have relevant experience or skills, use the words and phrases that the employer has used to describe them. Do not assume that someone will read similar wording and know what you mean. For more information on currently available Laboratory Technician roles within the pharmaceutical industry, head to our jobs boards and select Science in the “Jobs by Category” menu. We currently have jobs boards for Ireland, the UK, and Philadelphia, USA.